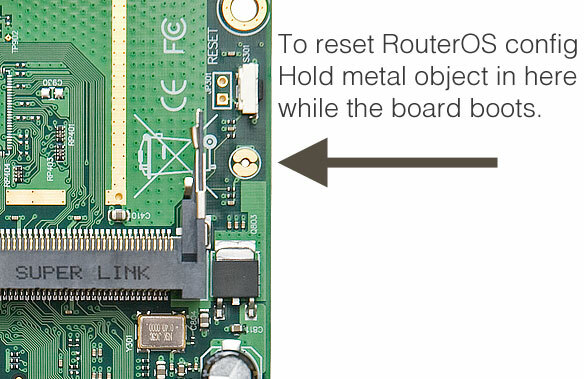 Note: RouterOS password can only be reset by reinstalling the router or using the reset button (or jumper hole) in case the hardware is RouterBOARD. For X86 devices, only complete reinstall will clear the password, along with other configuration. 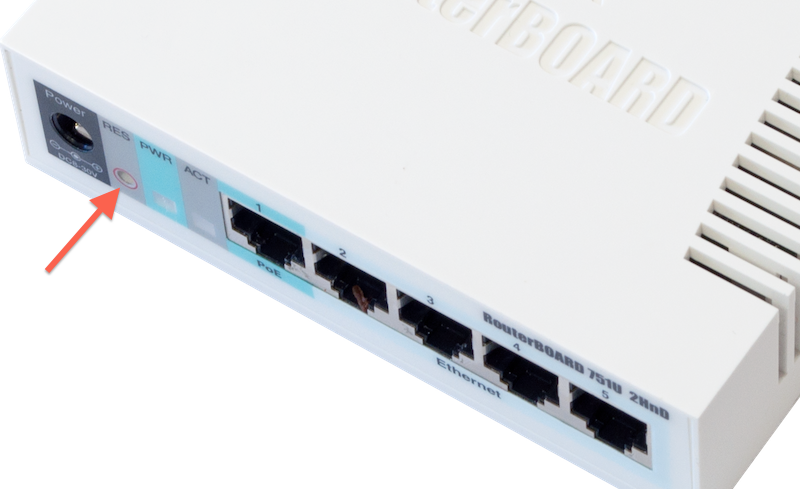 For RouterBOARD devices, several methods exist, depending on our model.
) do it from System -> Reset Configuration menu in the graphical user interface. 3) release the button to clear configuration. Note: If you wait until LED stops flashing, and only then release the button - this will instead launch Netinstall mode, to reinstall RouterOS. 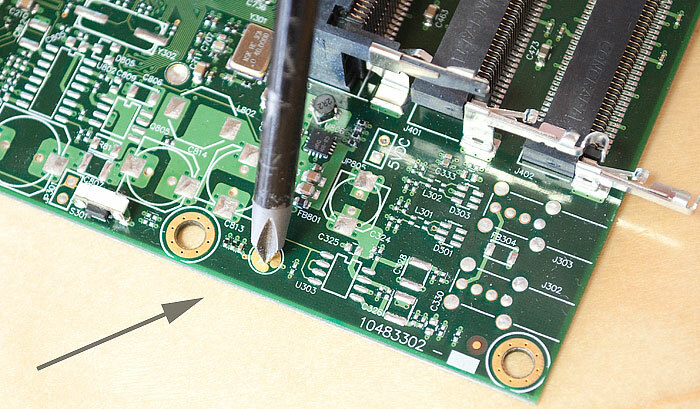 All RouterBOARD current models are also fitted with a reset jumper hole. Some devices might need opening of the enclosure, RB750/RB951/RB751 have the jumper hole under one of the rubber feet of the enclosure. 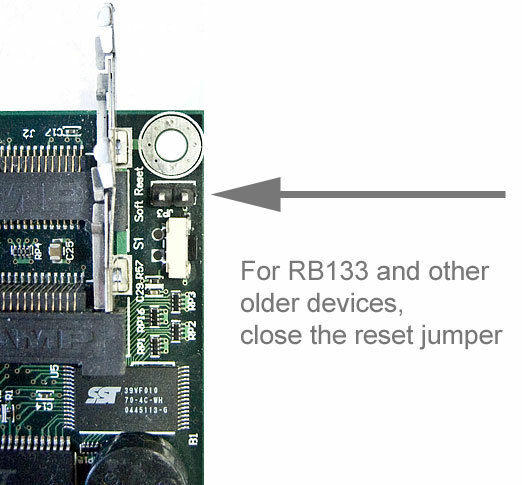 Using: Close the jumper with a metal screwdriver, and boot the board until the configuration is cleared. Note: Don't forget to remove the jumper after the configuration has been reset, or it will be reset every time you reboot. This page was last edited on 28 March 2019, at 13:43.